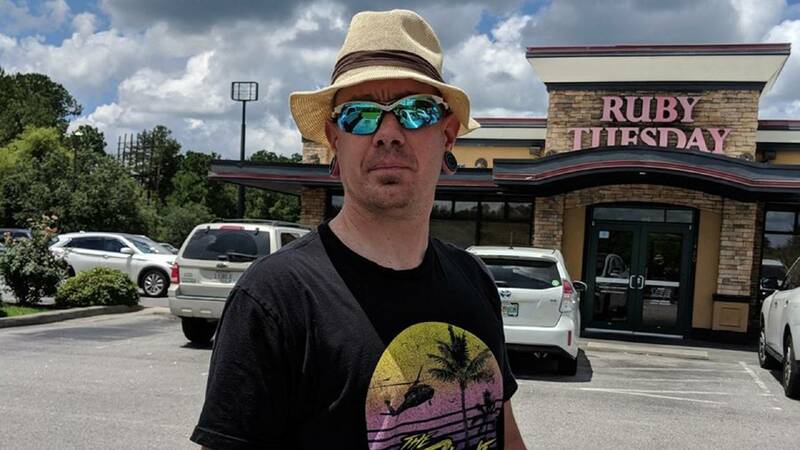 (CNN) - Emergency medical technician Alex McNabb has been let go by Jeb Stuart Rescue Squad months after racist comments surfaced on a podcast in which he compared black patients to gorillas and claimed to take "immense satisfaction" as he "terrorized" an African-American boy with a needle. Wren Williams, the attorney for the Patrick County, Virginia, rescue squad, sent a statement from the board saying, "During executive sessions, the pros and cons of Mr. McNabb's continued relationship with the squad were discussed, a legal opinion from outside legal counsel was shared among the board members, and the board members shared their personal thoughts." McNabb has said it's his First Amendment right to say the things he has said and that it was all said while he was pretending to be a fictional character he created named Dr. Narcan. He has not responded to CNN's request for comment. Last month McNabb was cleared of wrongdoing by the Virginia Department of Health in an investigation focused solely on whether "any alleged violations of Virginia's EMS regulations have occurred," the agency said. Those regulations stipulate that "EMS personnel may not discriminate ... based on race, gender, religion, age, national origin, medical condition or any other reason." After a two-month investigation in which fellow employees were interviewed and patient care was investigated, the health department said it "determined that there is no substantial evidence to support any violation of the EMS regulations" and closed the case. McNabb, 35, who was a part-time EMT, has commented frequently on a white supremacist podcast called "The Daily Shoah." McNabb has been a frequent co-host of the podcast, whose title mocks the Holocaust. The comments, which McNabb later claimed on Twitter to be a "work of fiction," ignited a debate over whether he could render adequate care to vulnerable, minority and Jewish patients. McNabb's Twitter account has since been suspended, but in December McNabb would not comment directly to CNN beyond indicating in a tweet that he was undergoing a "character assassination attempt." In one podcast from October 4, 2016, first reported by the Huffington Post, McNabb tells of an emergency call to what he characterized as a black apartment complex that medics call "Ebola Alley." Using the Dr. Narcan persona, he refers to a black woman as a shaved "Harambe," the name of a famous gorilla. Though McNabb has maintained his words were all part of a fictional story, after describing a diabetic ER patient and a doctor who collects toenails, he told his podcast co-hosts in 2016 that "both these stories are real." Later in the same podcast, in a Dr. Narcan story that McNabb doesn't label as fact or fiction, he speaks of "an unruly, young African-American male child" who needed to have blood drawn. "So, guess who volunteered to take (his) blood?" McNabb said. "Dr. Narcan enjoyed great, immense satisfaction as he terrorized this youngster with a needle and stabbed him thusly in the arm with a large-gauge IV catheter." In an interview conducted by the Virginia Department of Health investigators, McNabb was asked if he had "done anything intentionally or unintentionally that can be construed as discriminating in patient care?" McNabb responded, "Absolutely not. I have been extremely vocal about how this would not every (sic) be something that would happen." Correction: A previous version of this story had the wrong first name for Alex McNabb.